When I think of "picked his bones" it sounds like decay over time. Whispers are suppose to be soft and quiet so maybe it is referring to a slow and gentle death over time instead of a sudden harsh one. I could imagine a zombie like figure emerging from the sea after his bones are picked. In these lines, Eliot creates the image of nature that is not comfortable to man. Mountains are usually known for being tall, grand, and majestic. When someone stares at a mountain, one tends to feel emotions of sublime and awe about how God (if believing in God) can create such a shape. However, Eliot’s mountain is personified to have a mouth of “carious” i.e. decaying, teeth; it is rotting away like the mouth of a zombie. When viewing this mountain as a zombie’s “mouth,” Eliot’s mountain cannot spit; which can be seen as not being able to perform it’s natural bodily function; nor is it able to get rid of decaying components which will eventually cause the rest to decompose. Eliot’s mountain is decaying, i.e. dying; it cannot spit, i.e. not functional nor able to get rid of the problem; and it’s effect on humans is being useless. It is uncomfortable to man to the point where “one can neither stand nor lie nor sit.” These actions are actions of rest or stagnancy that require minimal to no effort to do—yet nature is preventing humans from doing so. This juxtaposition of nature fits into the theme of zombie: Eliot’s nature is not living nor thriving; yet it is not dead—it is in between. There is helplessness and constraint when something cannot perform its automatic process. There is disruption when one cannot find comfort in nature, even if it is to stand, sit, or lie. Eliot’s mountain offers no solace or peace when needed: “There is not even silence in the mountains.” One can feel like a zombie when such functions of living and dead mix. These lines draw on a prominent theme throughout Eliot’s work. The waste land is littered with people that aren’t truly alive. Instead, they are mindless drones that merely go throughout their lives as zombies. The imagery here depicts a person that is not capable of individual thought. The question being asked of whether the person is alive or not brings up the imagery of a machine. The person in question seems to know nothing while just going through the motions of appearing alive. They know nothing due to the fact that that they are merely doing as they’re told and submitting to a routine instead of being individuals and truly exploring their opportunities. The reason for this is never really made explicit, it is just the mentality of characters as Eliot writes them. They go about their business without acting as conscience beings. This leads into why Eliot considers a sea of mindless drones as a part of a waste land. Eliot’s wasteland is a place devoid of life. He portrays people as devoid of higher thoughts, which makes them a mindless group of drones. The lack of critical thinking makes everyone appear as if they are merely zombies, people that are dead inside but are still up and walking around. This plays into many other sections of the poem where Eliot invokes imagery of people that are acting as mindless zombies. The sections of the poem where Eliot states that people are “dying with a little patience” and “I see crowds of people, walking round in a ring” utilize the repeating imagery of people mindlessly going about their existence somewhere in between truly living and dying. This un-life contributes to the concept of the waste land devoid of life. These people aren’t truly alive, which leads to them polluting the landscape, making it truly a waste land of lost souls. The theme of "zombie" or "walking dead" comes out throughout the poem. From the body being hidden in snow during the winter and spring showing where it is hidden, to death by water, this idea of the living dead comes up throughout the poem. The passage states that the those who have lived are now dead (obviously). But those who are currently living are in a way dead, or well on their way to dying. 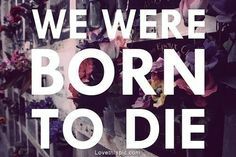 This can be seen sort of as the human curse: from the moment we are born we are already on our way to dying. With a little patience, with a little dash between birth and death is life (life - death), and we are venturing into death. Speaking of venturing into death (literally on a boat), is in the Greek epic The Odyssey, especially Book 11 where Odysseus travels to The Underworld as part of his 10 years journey. So literally, travels to hell and back; he is walking among the dead, and the dead are walking among his living presence. For instance, Odysseus finds his dead mother, and is in shock since the last time he saw his mother she was still alive. Further into the Underworld, a line of the dead starts to form to try to talk to Odysseus, since of course hell doesn't get many living visitors, especially when they plan on leaving to return back home to their wife (who in the meantime is being hoarded by suitors). Odysseus also meets his old friends he fought besides in the Trojan war: Achilleus, Patroklos, Antilochos, and Telamonian Aias. The dead are talking to him throughout his entire stay in the Underworld. There is also a huge hint that Odysseus will die a watery death, which again eludes back to death by water in 'The Wasteland'. Odysseus is told to pray to the ocean god Poseidon for a peaceful seaborne death at an old age. So here we are again, with the knowledge that we will all indeed die one day. The day will come when we are of old age and all our patience of going through life is soon to come to an end. As sad as that is. 'The Burial of the Dead' is interesting since it is the first title after "The Wasteland", which indicates that there are bodies needing to be buried in this wasteland. Bodies waste away, and they stink leaving a bad odor behind, which can be bad for the living's health, and that is why we bury them. Also, it is traditional to bury bodies. 'A Game of Chess' reminds me of a game with Death. Or rather, a game that is between Life and Death. They make moves on the board, slowly taking away each other's players, and this can by symbolic of taking away years of our lives. Life can hold out as long as it can, but in the end, it is Death that takes Life's king. 'The Fire Sermon' could be seen as the burning of bodies. As in the book Beowulf, the king Beowulf is burned on a boat with his treasures. So when a body is burned, so are the treasures that a person holds and they are kept with them forever. So any secrets and philosophies that a person holds is with them forever when they die, and no one will ever know. Also, zombies are burned after being killed through the pain, just in case, so they're burned to ashes and for sure cannot come back alive. 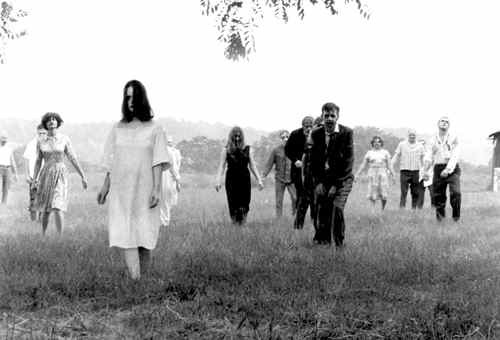 The mindlessness of zombies is a fair reminder of Henry Adams and the Dynamo. The Dynamo was explained as this machine, an advanced form of technology in its time. It runs on a mysterious energy on its own, like a zombie. The dynamo ultimately reminded me of a robot that is controlled, as though its master or creator was in control of its mind. 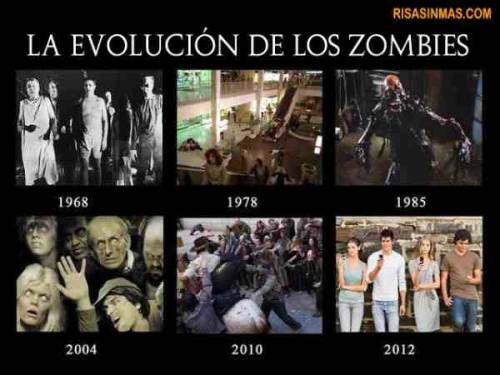 The same goes for zombies, though they do not have a master. Zombies, on the other hand, will kill, destroy, and put people into fear because zombies have no idea what they’re doing. They kill, destroy, and make people scared of them without consciously doing so. And the lack of consciousness reminds me of Du Bois and his idea of double-consciousness. Although zombies don’t have to worry about being marginalized for their race, zombies are the opposite of double consciousness. Rather than being conscious, out of their mindless actions, they aren’t conscious of the potential harm that they cause. All in all, the dry bones or zombies aren’t a threat to anyone. They may have no idea what they’re doing, their purpose may be defeated, and they may be dead, but they’re basically no harm. A crowd flowed over London Bridge, so many, I had not thought death had undone so many. “That corpse you planted last year in your garden, “Has it begun to sprout? Will it bloom this year? “Or has the sudden frost disturbed its bed? In the faint moonlight, the grass is singing Over the tumbled graves, about the chapel There is the empty chapel, only the wind’s home. It has no windows, and the door swings, Dry bones can harm no one. In the way that Williams saw nature (the deer) flashing past him as a cruel reminder of what life could be, I think that Elliot is feeling the same way. In the industrial world, where everything is decaying and dying, nature is a cruel reminder that life outside the city is reborn. In the Bible, there is a passage in Ezekiel titled "The Valley of Dry Bones." Since they are bones alone, they are not covered in flesh, they appear dead. And in the Bible, God told Ezekiel to prophesy to the bones to live. Interesting how a corpse is planted, which means it was buried - and is asked if it has sprouted. It's not too ordinary to expect to bury a corpse and expect it to sprout. It sounds like the corpse is a seed and its sprout is a flower. It's like sowing death and reaping life. Sounds like the description of a zombie. It's interesting. It sounds as if the narrator is anticipating a dead tree to give shelter, but the dead tree has no shelter because it's dead and has no leaves to give shelter. Perhaps these people are the living dead? if not literal zombies, then something has made them undone, has made them go through life in a zombie like state. It's not normal to see crowds of people walking around in a circle. Definitely appear to be zombie-like. A dead tree loses its purpose of giving shelter due to lack of life. Just as how zombies lose their purpose of living because they're dead. Dull is nearly dead, dead roots mean a plant is dying. But rain is also a sign of abundance. Like a zombie, it is a dead body but has life. Your arms full, and your hair wet, I could not Speak, and my eyes failed, I was neither Living nor dead, and I knew nothing, Looking into the heart of light, the silence. The speaker alludes to zombies by stating that he/she was "neither living nor dead." knowing nothing and silence also refers to the state of being zombie-like--not quite dead, but definitely not living. “Are you alive, or not? Is he the Phoenician sailor?